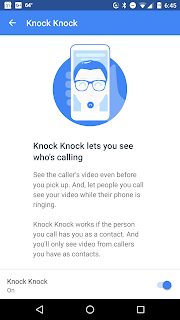 Google's recently released video chat app, Duo, provides a realy cool feature they call Knock Knock. Essentially what this feature does is provide users with the ability to see who is calling with live action before you even answer the call. It is smooth, works great and doesn't seem to use any excess data. 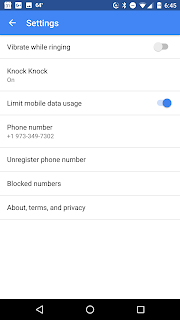 But there may be many people that are concerned about privacy, so luckily they provided a mechanism to disable Knock Knock. Pretty simple, just go into settings, tap on Knock Knock and turn the slider to the off position. they call you. Of course, once you answer the call, the video starts right up and is very smooth. 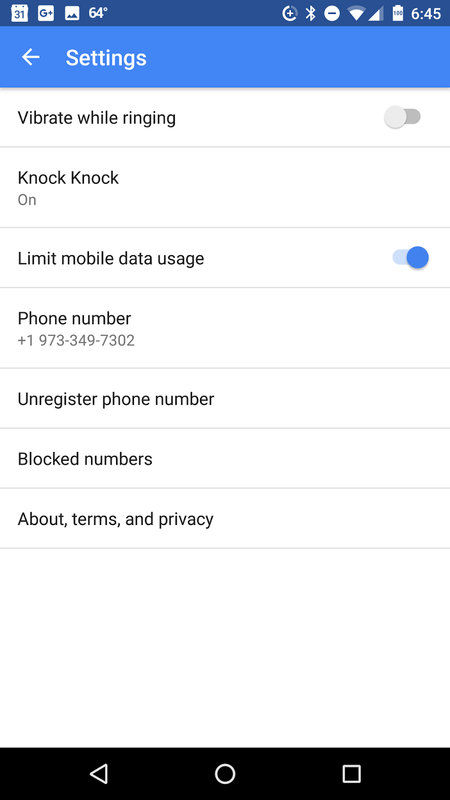 Please be aware, that due to some limitations in iOS, Knock Knock works a bit differently. If you are already in the app, you will see the full screen Knock Knock. You can also see a preview button if you swipe left on the incoming call notification. This will open the Knock Knock view which will give you an option to answer or decline the call. Also, on iOS you wont be able to see Knock Knock outside of the app, such as on the lock screen. What do you think of the Knock Knock feature? Tell us in the comments.